There are many mixed emotions when it comes to dating someone in a wheelchair. You may have seen an able-bodied person with a wheelchair user and wondered yourself about the dynamic. It’s in our basic human nature to be curious about the things we don’t understand. There is nothing wrong with that. But, when it borders to developing preconceptions it becomes a problem. 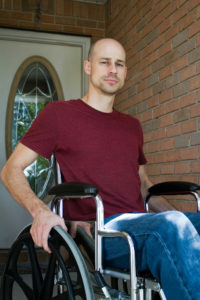 Many wheelchair users find they are judged before they are even met. They feel like their dates are expecting to have to take care of them. It’s a turn off. We’re here to correct those misconceptions and give you a more realistic view at dating someone in a wheelchair. 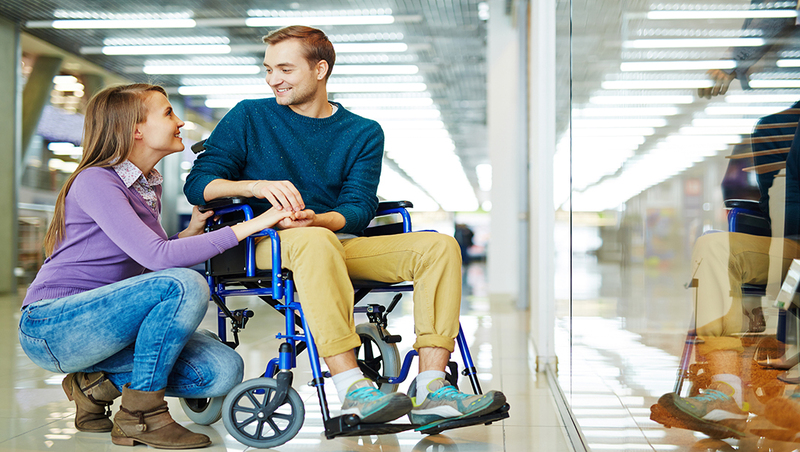 So, let’s look at some of the issues that wheelchair users have when it comes to dating! Assumptions; Your date doesn’t want you to assume anything about them. They want you to ask. There have been too many accounts of a date trying to “rise to the occasion” of helping. This is met with a negative response because the wheelchair user didn’t want or ask for help. Dependency; Your date doesn’t want you to think they are going to be dependent on you. They know how to get around with their wheelchair. They are used to the stares. They are used to the struggle. They understand their limitations. They are also strong enough to rise above those restrictions and prove to themselves they are still capable. So, let them be strong and capable. They will ask you if they need help with anything. Equality; Your date wants you to know they are equally as valuable as you are. There may be years of conditioning behind your belief that a wheelchair user isn’t capable of taking care of themselves. There’s no better time to lose those misconceptions than the present. Your date can probably do the same things as you. So instead of assuming an inequality, show your date that you understand they are an equal. Be respectful. Inaccessibility; Alright, there are going to be quite a few places you can’t take your date. Their wheelchair might get stuck in doorways or not be able to fit inside certain restrooms. When it comes to accessibility, there are going to be some issues. But, that’s not to say your date can’t be a smashing success. There are going to be other opportunities that aren’t present when you’re dating an able-bodied individual. Make sure that you avoid going to bars or cafes that only have high top tables though. This presents an awkward situation for you and your date. Neither of you want that. Relations; Your date is going to be insulted if you ask about intimate relations. This is a topic that should only be approached after a couple dates of getting to know one another. In fact, your date will probably bring up the subject if they are comfortable with you. If you ask before you have a reason to know, your date is going to be insulted. The fact is, most people in wheelchairs are still capable of having fun. They want to share that fun with you, too. The best advice any wheelchair user will give you is to play it cool. They want to be treated the same way you would date anyone else. They are, essentially, the same as anyone else.